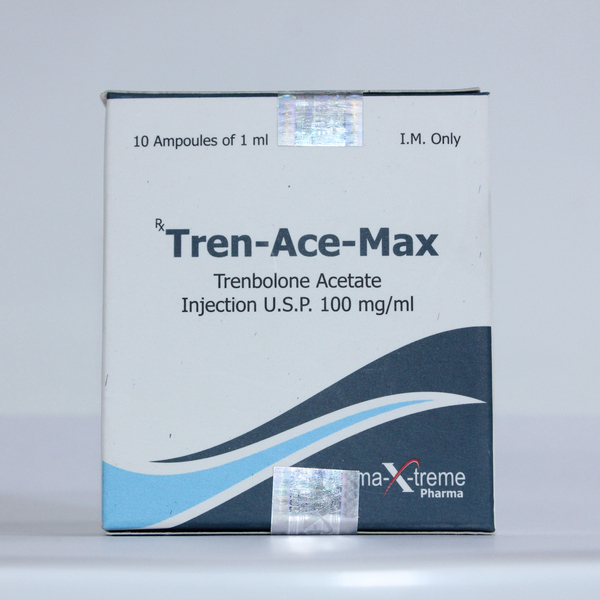 Tren-Ace-Max is a steroid preparation that has an anabolic effect and an androgenic effect. This is an oil solution that has no aromatization and is not inferior in its effectiveness to other analogues. The drug has an activity of 3 days, does not hold liquid, and is not detected in the body after two months from the end of the application. Buy Tren-Ace-Max vial, affordable and profitable, you can on our website strongman.biz. What effects does Tren-Ace-Max have? The rapid increase in muscle. It is necessary to carry out administration of drug in a dosage from 50 to 100 mg in a day. Duration of use should not exceed 2 months. If taking Trenbolone for a longer period of time, adverse side reactions may occur. At the completion of the course of this remedy, it is necessary to undergo a course after the course of therapy, where Toremifene should be applied for 3 weeks daily at a dosage of 60 mg. During PCT you can take clomifen or tamoxifen. What side effects does Tren-Ace-Max have? The drug can cause such negative reactions as increased aggression, insomnia, skin problems and increased pressure. Trenbolone Acetate can adversely affect the production of natural testosterone in the body. Reception by women of this means is inadmissible, as virilization and masculinization can occur even when taking small doses.